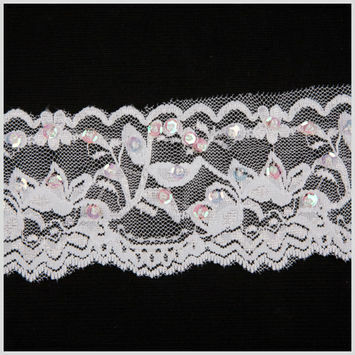 Beaded Lace Trim adds a delicate touch to decolletage and dresses. 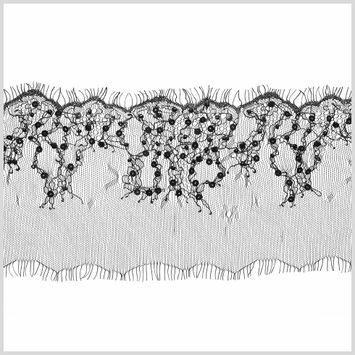 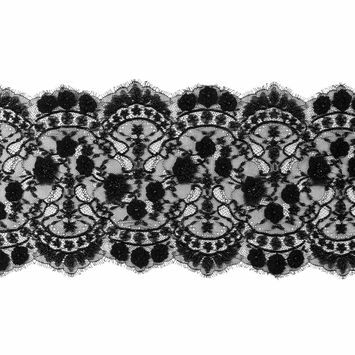 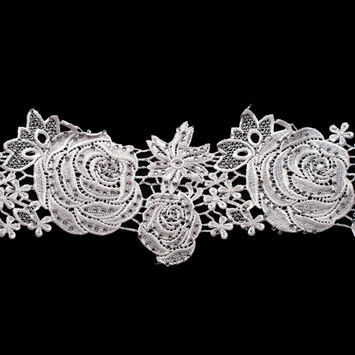 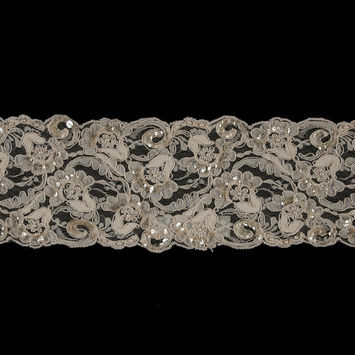 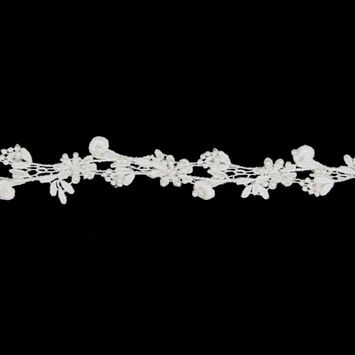 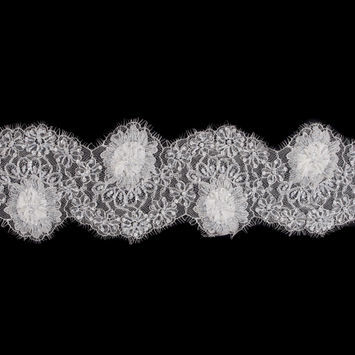 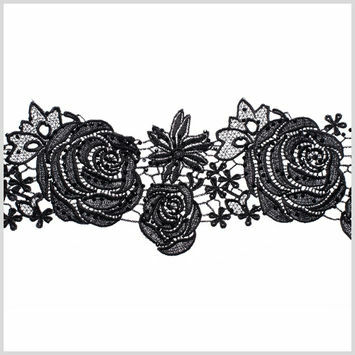 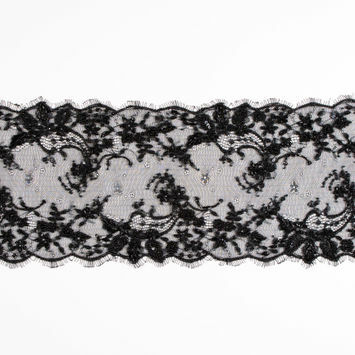 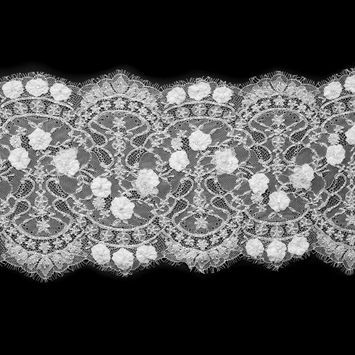 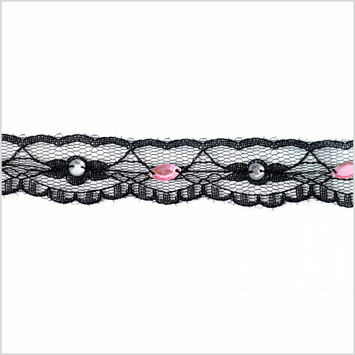 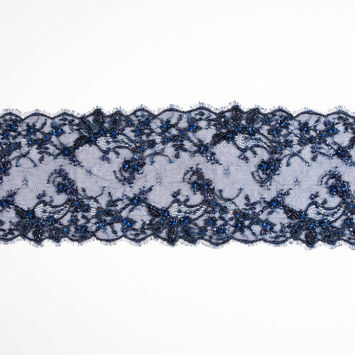 Lace is made of yarn or thread that is woven into a web-like pattern, one that is dainty and can be made by hand or machine. 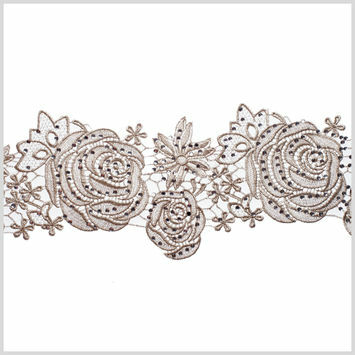 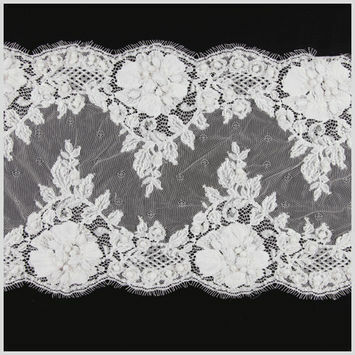 Although it was originally made of gold or silver threads comprised of silk or linen, lace can now be made of cotton or a variety of synthetic threads. 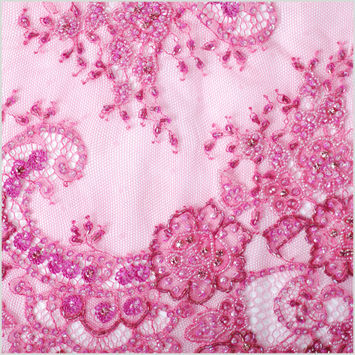 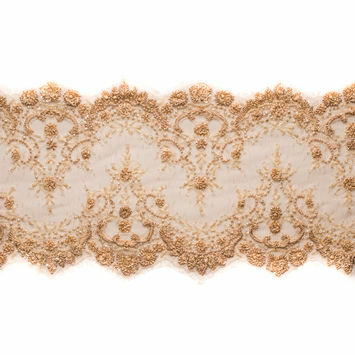 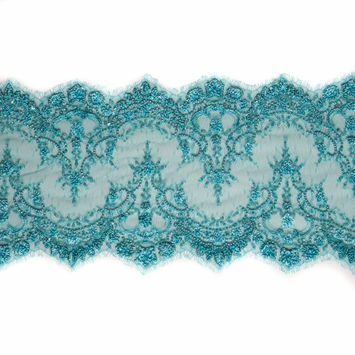 Add beaded lace trim to a simple blouse, or to curtains to add a glamorous element to your home decor. 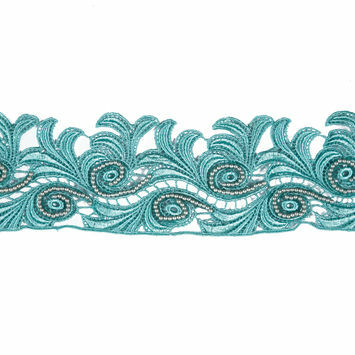 Beige Beaded, Sequined & Corded Lace Trim - 4.5"
White Beaded Lace Trim - 4.5"
Navy Beaded and Sequined Lace Trim - 6.5"
Black Beaded and Sequined Lace Trim - 6.5"
Black Beaded Lace with Eyelash Edge - 10"
Pearl Yellow Fancy Beaded Lace Trimming - 8"
Blue Turquoise Beaded Venise Lace Trim - 3.25"
White Fancy Beaded Lace Trimming - 10"
Turquoise Fancy Beaded Lace Trimming - 8"